The role of the accompanist for a choir requires someone with pretty unique talents. First and foremost they must of course be an excellent piano player, able to play almost any piece straight off because conductors have this habit of suddenly wanting to try something new! Secondly they must be a mind reader so they know from where to start playing when the conductor says “we’ll just go again from there”, and, thirdly, they also need to have a good choral ear so they can hear which of the eight (or more!!) parts is struggling and need their notes played a bit stronger. Since its formation, the Dalkeith Singers is very fortunate to have had accompanists of the highest calibre – Lionel Jackson, Sheila Arran, Lenora Godwin (2001-2016) and presently Donald Thomson. 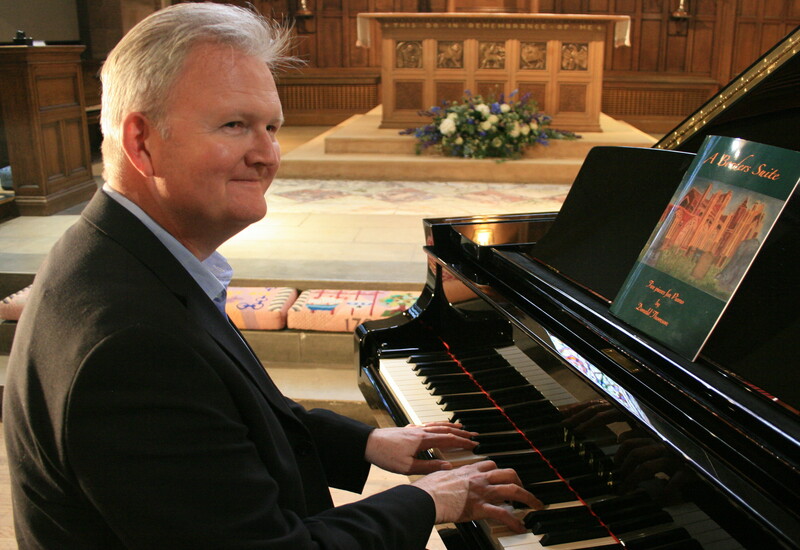 Growing up in a musical family, the son of a piano teacher, Donald Thomson was always going to lead a life with music at its heart. He graduated from the RSAMD (now the Royal Conservatoire of Scotland) in 1989, where he studied the piano under Bernard King. Since then, he has worked as a piano teacher, music editor, arranger and latterly as a professional freelance music typesetter, starting his own business, MacMusic, in 2015. Donald is also gaining a reputation as a composer – his five piano pieces A Borders Suite and a sequel, A Hebrides Suite were recently published by EVC Music Publications Ltd. He is also a choral singer with the Edinburgh Bach Choir and accompanies the Southside Community Choir. In addition to his musical activities, Donald is a keen motorcyclist, with two advanced riding qualifications, and enjoys spending time exploring the beautiful countryside of Scotland aboard his trusty Triumph.